Tip: Restore your muscle and liver glycogen after workouts and before long fasts to ensure a smooth transition from glucose to fat utilization. In view of the diabetes pandemic it sounds stupid, when J-P Chaput and A Tremblay write that low blood sugar levels could contribute to the ever-increasing obesity rates in the US and other Western countries. Their reasoning, however, is sound: An increase in blood glucose concentrations results in increased feelings of satiety whereas a drop in blood glucose concentrations has the opposite effect. Chronically low levels of glucose, as well as the glucose excursions we see in the few (still) healthy people after shoveling down packages of twinkies and dingdongs, would thus precipitate overeating and eventually obesity and diabetes. Use alternatives to sugar sweetened beverages if you want to stabilize your blood glucose! Compared to the way the hypothesis was originally formulated by Jean Mayer in the 1950s, the theory Chaput & Tremblay present in a 2009 review of the literature is significantly more complex (Mayer. 1953 & 1955. Chaput. 2009) and more of a glucose homeastasis hypothesis of obesity. Does this mean that fasting is counter-indicated? For most of you probably not. If your liver gylcogen levels are well-stocked at the onset of the fast and assuming that you have a decent degree of metabolic flexibility, the transition into the fast will not put you at risk of metabolic (temporary glucose shortage at the cellular level) and / or full-blown hypoglycemia (really low blood glucose levels). So, fasting is ok, if you don't turn it into "starving" by extending the fast indefinitely and/or not restocking your glycogen levels in the feeding windows. Interestingly, Mayer argued in his previously cited 1955 paper, already that the glucostatic theory would explain the short-term control of hunger and food intake, whereas a lipostatic mechanism would control the long-term regulation of body weight and energy balance. 259 participants between 20 and 67 years of age involved in the Quebec Family Study - A study which revealed a closeassociation between glucose concentrations at the end of anoral glucose challenge and changes in body mass over the course of a 6-year follow up (Boulé . 2008). In view of the fact that it would be easy to over-read the significance of these results: The researchers found that (1) lower glucose concentrations at the end of an OGTT were correlated with weight gain over time, that (2) large amounts of weight loss were associated with low glycemia at the end of an OGTT, and that (3) these low glucose concentrations were strong predictors of the amount of weight regained after weight loss. Of these findings (2) is particularly interesting as it would support the notion that low glycemia can do both: It supports weight loss, when the energy intake is restricted and it increases the risk and extend of weight (re-)gain, when there is no energy restriction. These observations would support previous evidence that a high glycemic index of foods, which would obviously be connected to higher glucose excursions after meals, figures large on ad-libitum (Alfenas. 2005), but only marginally on tightly controlled diets (Raatz. 2005). It is thus no wonder that Chaput & Tremblay write in their latest review that their results are relevant only in phases without deliberate (significant) energy restriction. In these phases, the present research clearly suggests that weight-reduced obese individuals are at particular risk of weigh (re-)gain; an observation of which the scientists say that it is brought about by a destabilization of the "body homeostasis" that occurs, whenever the weight loss exceeds 10% of the initial body weight. And indeed: Tremblay et al. have observed in 1999, already that the mean glycemia of participants who had reached the point where their weight loss stagnated had reached an all-time low of 3.3 mmol/ l, of which studies by LeBlanc show that that it is significant enough to evoke a significant counter-regulatory hormonal response (LeBlanc. 1982; Tremblay. 1999). Hypoglycemia and depression? The reduced glycemia could also be the underlying cause of diet induced increases in symptoms of depression as they were observed by Chaput et al. in a previous trial (2005), in the course of which their male volunteers became increasingly depressed, when they had surpassed the 10% weight loss margin (Chaput. 2007a). A direct association between low glycemia and depression in weight loss was confirmed in a follow up that used a low calorie diet (700kcal/day) + aerobic exercise. (Chaput. 2007b). Intriguingly, depression peaked, when the subjects finally hit a weight loss plateau in both studies. These "significant counter-regulatory hormonal responses", which manifest in form of blunted growth hormone and epinephrine responses and appear to be controllable by regular exercise, are of particularly interest for those of you whose weight loss efforts have plateaued. A better glucose control with a focus on avoiding low glucose levels and regular physical activity could thus help you solve this problem... switching to a ketogenic diet which guarantees 100% glucose stability since the glucose is no longer used as a substrate, would be a another option. Another and eventually probably the most promising way of increasing glucose stability, facilitating further weight loss and forestalling future weight (re-)gain would be regular workouts. It's thus not best to sit around all day to avoid your blood glucose levels from plummeting. On the contrary, individuals who are physically engaged in their daily schedule may expect a better control of both high and low glucose levels and better overall glucose homeostasis. And in fact, previous research also suggests that physically fit individuals are less likely to experience feelings of hunger associated with declines in blood glucose (Chaput. 2008). The unbeatable benefits of exercise include both improved glucose control in the traditional sense of avoiding hyperglycemia and improved glucose control in the more comprehensive sense of avoiding both high and low glucose levels. It is thus not surprising that Cognitively and thus energetically demanding tasks will influence the ad-libitum meal intake, even if the measured energy expenditure during sitting at the desk doing nothing and performing a reading–writing task for 45 min is practically the same (13kj difference in Chaput. 2007c). In conjunction with the increase in the variability of glycemia, Chaput et al. observed in a 2008 follow up (Chaput. 2008), this may well explain the increased food intake the researchers observed in response to "cognitive work" in the broadest sense in all three studies. Unquestionably, Chaput & Tremblay are right, when they warn that these observations raise the question as to whether other sedentary leisure activities (for example, video game playing, television viewing, chatting on internet) are also hyperphagic stimuli. In other words, whether they will make you overeat similar toknowledge-based work; and whether associations with glucose instability, as they were observed by Chaput et al. in 2008 exist for "texting", as well. And even if that wasn't the case, the mere fact that knowledgebased work represents the main working modality in the current way of living, alone, would warrant further research in this direction. If you take a look at the data in Figure 4, you will realize that another feature of the modern way of living, i.e. a lack of sleep quantity and quality is associated with glucose excursions into hypoglycemia as well. The mean glucose area below fasting glucose concentrations (GABF) Chaput et al. measured in a yet another study they conducted in 2007 (Chaput. 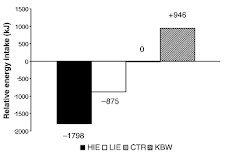 2007d) clearly indicate that border line hypoglycemia is much less pronounced in long vs. short sleepers. 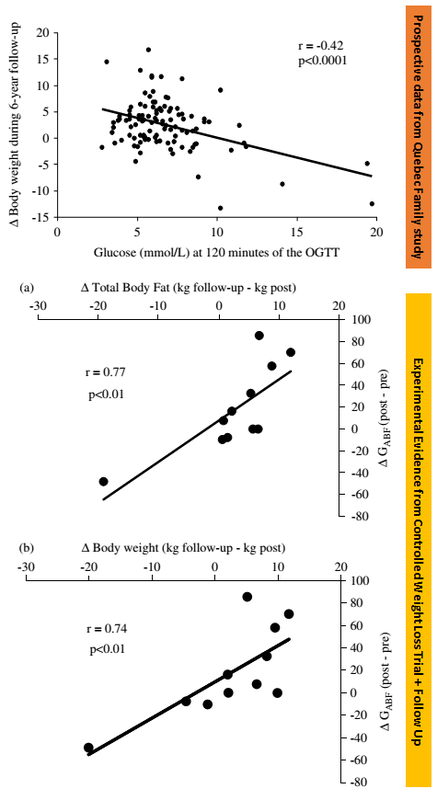 In that, it is interesting to see that the differences in mean glucose area below fasting glucose concentrations reflect the contemporary evidence of associations between sleep duration, obesity and type II diabetes - both sleeping too short (Xi. 2013) and too long is associated with increased risk of metabolic syndrome and/or type II diabetes (Ohkuma. 2014). Bottom line: I doubt that hypoglycemia is the ultimate weight loss tool, but I hope you will agree that the previously presented evidence is significant enough to argue that you better keep an eye on both overtly high and overtly low glucose levels. As I've pointed out before, the latter damaging effects of low glucose levels are particularly pronounced, when you're not dieting. Yet even if you're calorically restricted, it's certainly a wise advise to keep the number and duration of episodes with borderline low glucose levels to a minimum to (a) reduce cravings, specifically for sweets, (b) minimize the negative long(er) term effects on the production of catecholamine and thyroid hormone (Leung. 1975), testosterone (Oltmanns. 2001) and the rest of the hormones the production of which depends on an intact hypothalamic signalling that is disrupted as a consequence of low glucose availability in the brain | Comment on Facebook! Alfenas, Rita CG, and Richard D. Mattes. "Influence of glycemic index/load on glycemic response, appetite, and food intake in healthy humans." Diabetes Care 28.9 (2005): 2123-2129. Boulé NG, Chaput JP, Doucet E, Richard D, Despre´s JP, Bouchard Cet al. 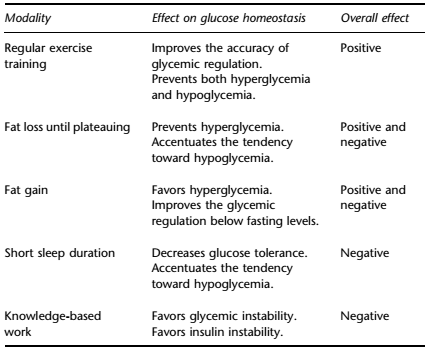 Glucose homeostasis predicts weight gain: prospective and clinical evidence.Diabetes Metab Res Rev 2008;24: 123–129. Chaput, Jean-Philippe, et al. "Psychobiological impact of a progressive weight loss program in obese men." Physiology & behavior 86.1 (2005): 224-232. Chaput, Jean‐Philippe, et al. "Psychobiological effects observed in obese men experiencing body weight loss plateau." Depression and anxiety 24.7 (2007a): 518-521. Chaput, Jean-Philippe, et al. "Increase in depression symptoms with weight loss: association with glucose homeostasis and thyroid function." Applied Physiology, Nutrition, and Metabolism 33.1 (2007b): 86-92. Chaput, Jean-Philippe, and Angelo Tremblay. "Acute effects of knowledge-based work on feeding behavior and energy intake." Physiology & behavior 90.1 (2007c): 66-72. Chaput, J-P., et al. "Association of sleep duration with type 2 diabetes and impaired glucose tolerance." Diabetologia 50.11 (2007d): 2298-2304. Chaput, Jean-Philippe, et al. "Glycemic instability and spontaneous energy intake: association with knowledge-based work." Psychosomatic medicine 70.7 (2008): 797-804. Chaput, J. P., and A. Tremblay. "The glucostatic theory of appetite control and the risk of obesity and diabetes." International journal of obesity 33.1 (2008): 46-53. LeBlanc, J., et al. "Variations in plasma glucose, insulin, growth hormone and catecholamines in response to insulin in trained and non-trained subjects." Metabolism 31.5 (1982): 453-456. Leung, Yan, et al. "The effect of hypoglycemia on hypothalamic thyrotropin-releasing hormone (TRH) in the rat." Endocrinology 97.2 (1975): 380-384. Mayer J. Glucostatic mechanism of regulation of food intake. N Engl J Med1953;249: 13–16. Mayer J. Regulation of energy intake and the body weight, the glucostatic theory and the lipostatic hypothesis.Ann NY Acad Sci 1955;63: 15–43. McCann, Barbara S., G. Russell Warnick, and Robert H. Knopp. "Changes in plasma lipids and dietary intake accompanying shifts in perceived workload and stress." Psychosomatic medicine 52.1 (1990): 97-108. Ohkuma, Toshiaki, et al. "U-shaped association of sleep duration with metabolic syndrome and insulin resistance in patients with type 2 diabetes: The Fukuoka Diabetes Registry." Metabolism 63.4 (2014): 484-491. Oltmanns, Kerstin M., et al. "Hypoglycemia, but not insulin, acutely decreases LH and T secretion in men." 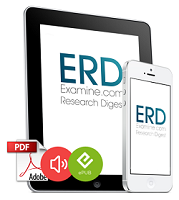 The Journal of Clinical Endocrinology & Metabolism 86.10 (2001): 4913-4919. Raatz, Susan K., et al. "Reduced glycemic index and glycemic load diets do not increase the effects of energy restriction on weight loss and insulin sensitivity in obese men and women." The Journal of nutrition 135.10 (2005): 2387-2391. Tremblay, Angelo, et al. 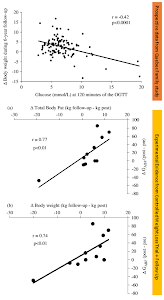 "Metabolic Fitness in Active Reduced‐Obese Individuals." Obesity research 7.6 (1999): 556-563. Xi, Bo, et al. "Short sleep duration predicts risk of metabolic syndrome: A systematic review and meta-analysis." Sleep medicine reviews (2013).